A particularly useful water drain cap will allow you to pour some of the excess water off. It takes the appliance about 10 minutes to produce the first batch of ice cubes. After that, it will be able to make another one in about 6 minutes. The large water reservoir will let you make more ice. Tends to produce quite a bit of noise while making the first batch. 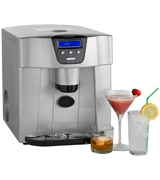 This ice maker machine from Thinkgizmos will be a perfect fit for people who like to throw parties and all kinds of social gatherings. With it, you will be able to keep your guests' drinks cool and refreshed, regardless of the number of said guests. 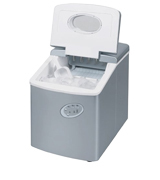 The portable ice maker features an LCD screen that is as functional as it is convenient. The display will provide you with all the necessary information. The built-in drip tray will catch any stray ice cube, so you won't be dealing with any spillage scenarios. A relatively limited water reservoir. 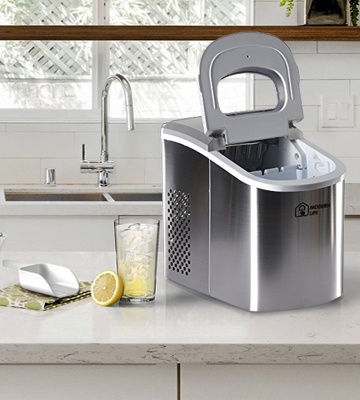 What we have here is a portable ice maker that is as stylish as it is functional. 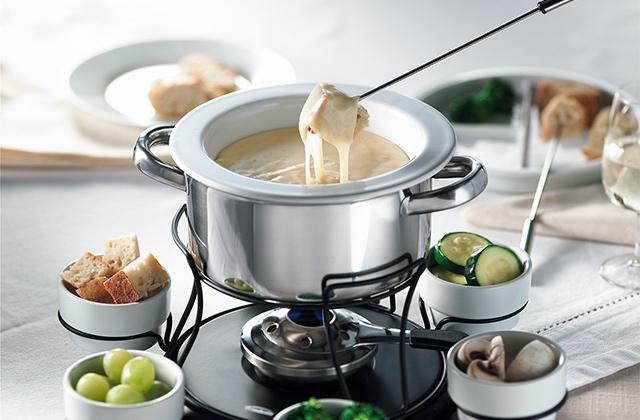 Plus, the drip tray and the design of the ice mould make it highly practical. You won't have to gather ice cubes with a scoop and you won't have to open and close the cap every time you want some ice. You'll be able to make ice cubes of 3 different sizes. A strategically placed translucent viewing window will let you peep inside and check on the ice production progress. The matte black finish is fingerprint- and smudge-proof, so it will always look presentable. The inside of the model is made of quality BPA-free ABS plastic. Not much of a difference between small and medium sizes. 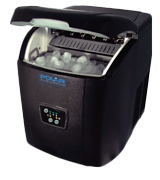 If you run the type of establishment that serves a variety of different refreshing beverages, you cannot go wrong with the Polar T135 portable ice maker. 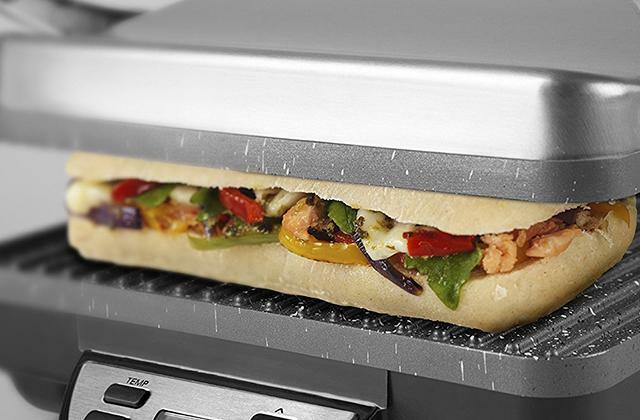 It is as reliable of an appliance as they come. Furthermore, it comes with an ice scoop, so you won't have to waste your time trying to fish out the ice cubes. 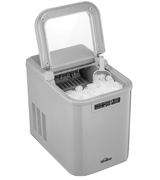 With 24 x 35 x 32 cm in overall dimensions and about 8 kg of weight, this model puts the "portable" in the "portable ice maker". The high-quality brushed stainless steel gives the casing and the entire thing an anti-corrosion and particularly durable structure. Even while making the first batch, the noise levels never reach a level above 50 dB. The product doesn't include an ice scoop. Modern Life Ice Maker Machine is easily your best option if you're looking for the most compact and portable appliance available. It isn't just the size and the weight but also the durable construction that will allow this product to survive any trip to the outside world. The model comes equipped with 3 indicator lights: full ice, add water, work. The first two incorporate audio signals. The inside of the appliance is insulated, so the ice will always stay fresh. The 2.2-litre water reservoir means you'll have to refill it on a less frequent basis. Some find the "full ice" and "add water" alarms a tad annoying. The Kealive YT-E-005A will allow you to have full control over the ice making process. It doesn't trail behind in terms of performance but it is the model's ease of use and a range of indicators that earns it a spot on our list. 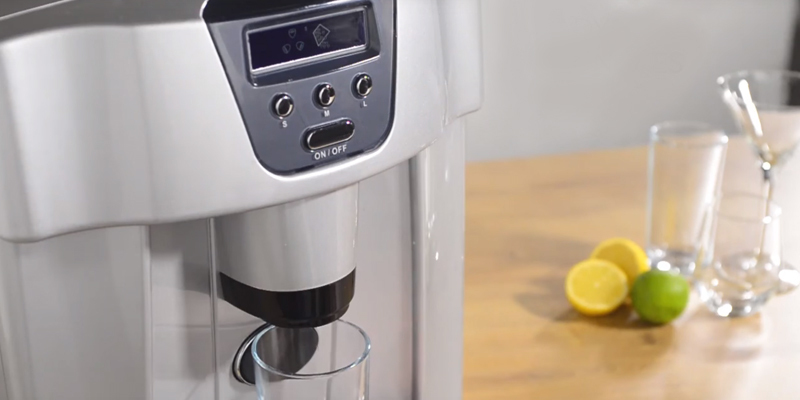 The tabletop ice maker machine from Thinkgizmos encapsulates just about everything that people like to see in these appliances. It includes all of the usual features and components that you would find in any other decent ice maker, like a control panel with LED indicators, water refill alarm, and a translucent window. It also comes with an ice scoop. But there's a lot about this model that makes her considerably better than most of its counterparts. For instance, there's the 3-litre water reservoir that will allow you to produce more ice. Plus, you won't have to refill it quite as often as you normally would. Of course, you won't always need this much water. Which is why the manufacturers have added a convenient water drain cap that will allow you to pour some of the excess water off. One of the most important characteristics of a machine like that is the speed at which it can produce the ice. And with this model, speed is one of the biggest selling points. It takes the appliance about 10 minutes to produce the first batch of ice cubes. After that, it will be able to make another one in about 6 minutes, not the sort of numbers that most other portable ice makers can offer. 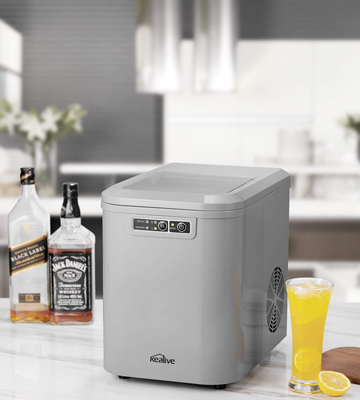 To put all of it in a different perspective, this ice maker machine from Thinkgizmos will be a perfect fit for people who like to throw parties and all kinds of social gatherings. With it, you will be able to keep your guests' drinks cool and refreshed, regardless of the number of said guests. There's a lot to like about this model from VonShef. From performance to convenience, it covers all of the important aspects and it does it well. But what we liked in particular is the LCD screen. Most portable ice makers usually come with LED indicators that a lot of people may find distracting. Plus, they don't work that well with poor lighting conditions. The LCD screen, on the other hand, is as functional and convenient as they come. The display will provide you with all the necessary information, like when to refill the water reservoir or the size of the ice cubes that it is currently making. It will also notify you when the ice compartment is full. Aside from the display, there are still a couple of things that differentiate this portable ice maker from the rest of them. First is the built-in drip tray. It may not seem like a huge change but this thing will catch any stray ice cube, so you won't be dealing with any spillage scenarios. Moving on from the functionality, we would also like to briefly mention the sleek, silver design of this model. Of course, the visual aspect is always in the eyes of the beholder. But we reckon most people would find it as stylish as we did. So, with all that in mind, what we have here is a portable ice maker that is as stylish as it is functional. Plus, the drip tray and the design of the ice mould make it highly practical. You won't have to gather ice cubes with a scoop and you won't have to open and close the cap every time you want some ice. 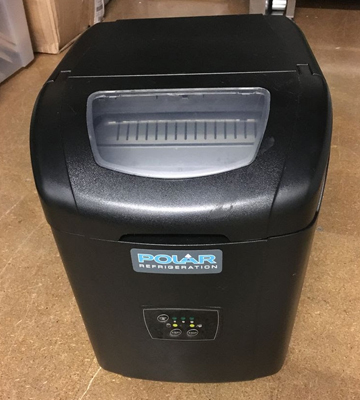 As the people behind the Polar T315 have so eloquently put it, this ice making machine will prove to be a perfect addition to just about any establishment where refreshments are best served ice cold. Equipped with a 2-litre water reservoir, this appliance is capable of producing up to 11 kilograms of ice in a day. 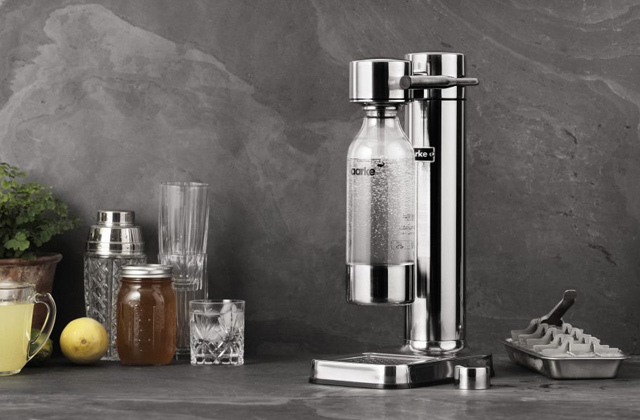 Just like most premium ice makers, it will allow you to make ice cubes of 3 different sizes. 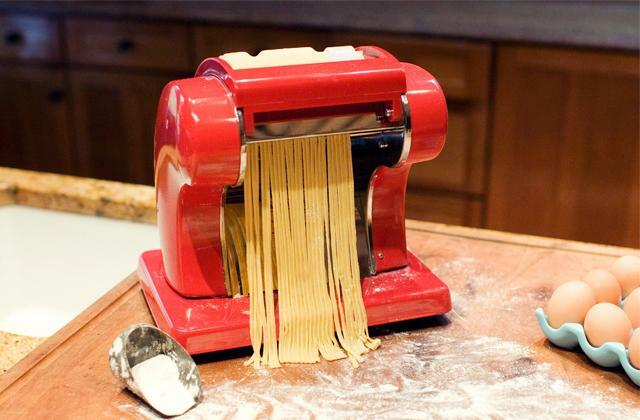 This little function is always a welcome addition to these appliances as it adds a decent amount of versatility. That said, there really isn't that much of a difference between small and medium-sized ice cubes, not a significant issue but a drawback nonetheless. There's a convenient translucent viewing window that will let you peep inside and check on the ice production progress. The matte black finish may not make this portable ice maker look as sleek and dignified as a few other models in this review but it is fingerprint- and smudge-proof, so it will always look presentable. Plus, the inside of the appliance is made of quality BPA-free ABS plastic. The best part about this material is that it is particularly great at preventing any outside odours from infiltrating the ice maker. 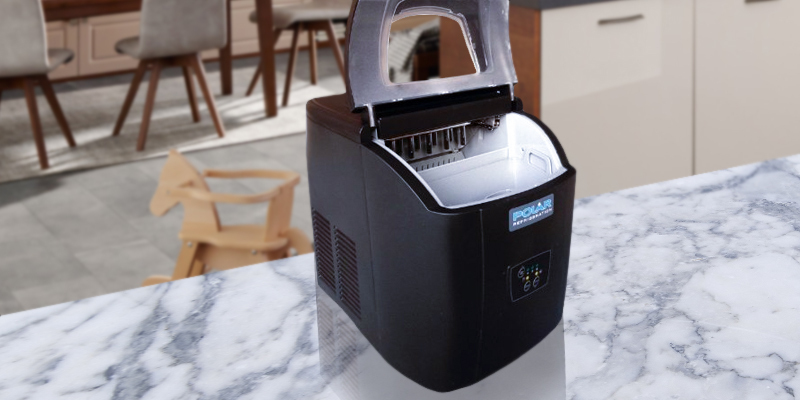 Again, if you run the type of establishment that serves a variety of different refreshing beverages, you cannot go wrong with the Polar T135 portable ice maker. It is as reliable of an appliance as they come. Furthermore, it comes with an ice scoop, so you won't have to waste your time trying to fish out the ice cubes. Modern life is all about making things smaller, more mobile, portable, and more compact. And we are talking both about the current social paradigm and the company with the same name. Now, the size of this product is only the only good thing about it. But it is definitely one of the more important characteristics. With 24 x 35 x 32 centimetres in overall dimensions and about 8 kilograms of weight, this model puts the "portable" in "portable ice maker". You'll be able to easily find a place for it in your home and just as easily bring it with you on a camping trip. Another discerning characteristic of this model is the material. Instead of plastic, the manufacturers decided to go with steel. 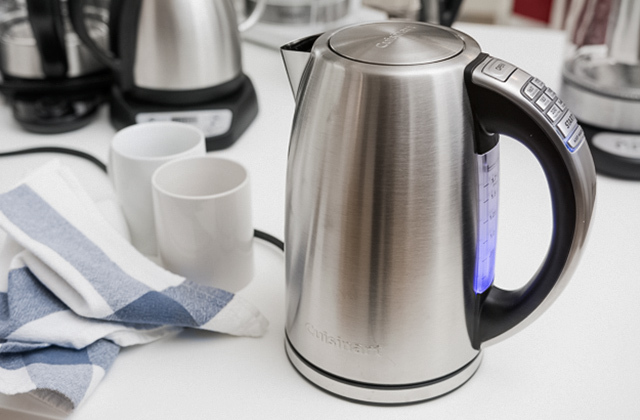 Or, in this case, the sort of high-quality brushed stainless steel that gives the casing and the entire thing an anti-corrosion and particularly durable structure. Other than that, we would like to cover the appliance's speed and operation (noise-wise). 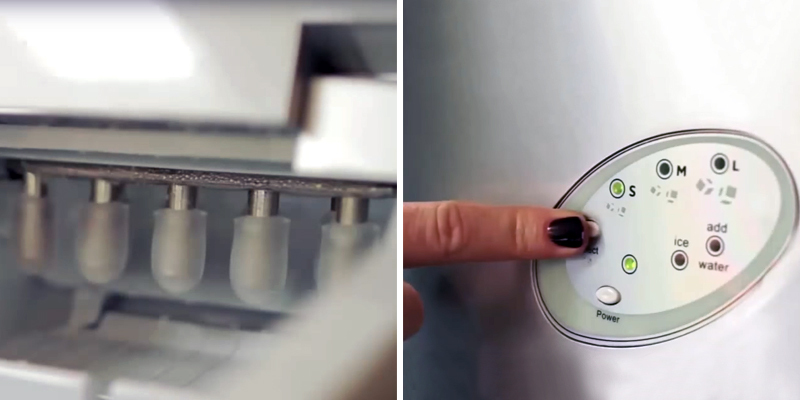 In about 6 to 13 minutes (depending on the size setting), it will be able to make you a batch of 9 ice cubes. And even while making the first batch, the noise levels never reach a level above 50 dB, which is about as quiet as ice makers come. 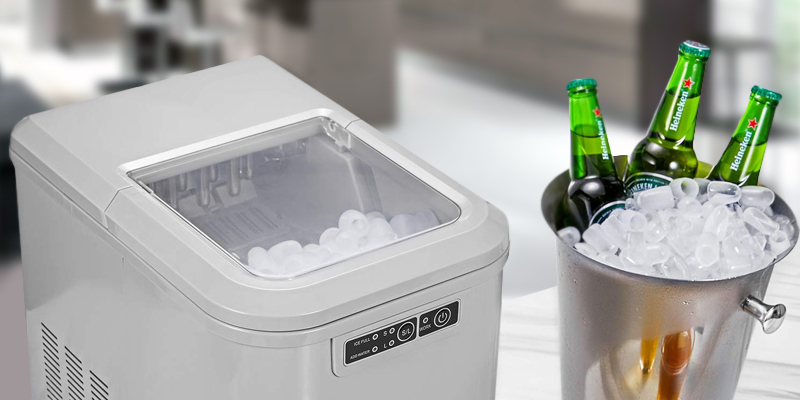 To rephrase the point we made earlier, Modern Life Ice Maker Machine is easily your best option if you're looking for the most compact and portable appliance available. It isn't just the size and the weight but also the durable construction that will allow this product to survive any trip to the outside world. The Kealive YT-E-005A is a bit of a mixed bag. It has quite a lot going for it. But what some may find particularly useful could easily prove to be a disadvantage to others. For example, the model comes equipped with 3 indicator lights: full ice, add water, work. Of course, most ice makers include these type of indicators. But the appliance in question also comes with an audio signal for the first couple of statuses. Some customers find them rather practical since they'll always know when the machine is full and when they should add water. It's an especially great thing for commercial establishments where efficiency is the key to success. But others may find these indicators redundant and even somewhat annoying, and you'll never know on which side of the proverbial coin a particular customer will land. That said, other elements of this portable ice maker are a lot less divisive. The translucent window in the lid is one of our favourites as it allows you to keep track of the status of the ice cubes. The inside of the appliance is insulated, so the ice will always stay fresh. It takes the model between 7 and 13 minutes to make 9 ice cubes, which isn't bad at all. The 2.2-litre water reservoir means you'll have to refill it on a less frequent basis. 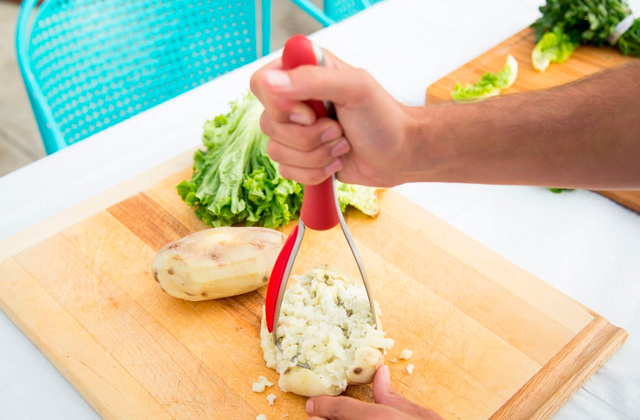 Finally, like most ice makers, it comes with an ice scoop, meaning you won't have to buy one separately or waste your time trying to fish out the ice cubes without it. All in all, the Kealive YT-E-005A will allow you to have full control over the ice making process. It doesn't trail behind in terms of performance but it is the model's ease of use and a range of controls that earns it a spot on our list. 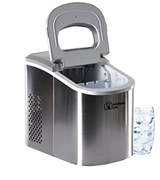 A portable ice maker is a compact device for producing ice. 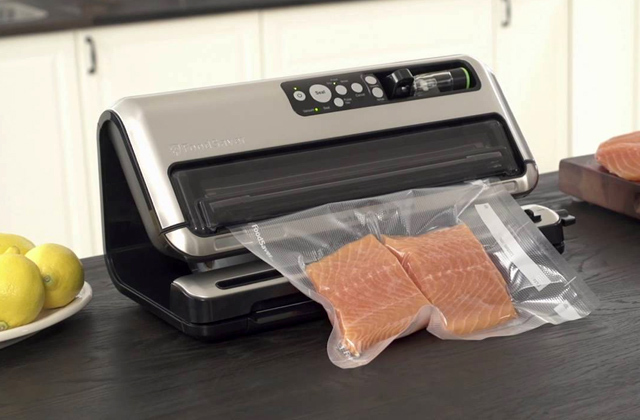 It requires neither water line nor drain line, thus, it's ideal for use in mini kitchens, RVs or boats while travelling, camping, or tailgating. 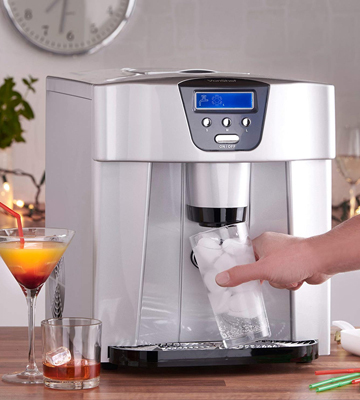 The machine contains a built-in ice generator that swiftly produces ice cubes. No fuss with pre-freezing! You just need to switch the appliance on, fill it with clean water, and press the button "ON". 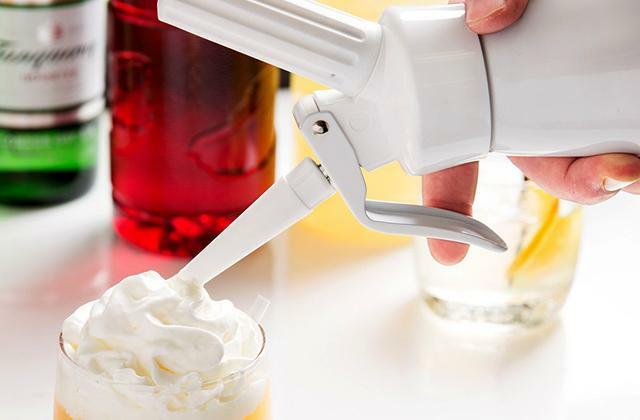 Portable ice makers can be a great investment if you love chilly drinks and often invite over your friends and throw parties. They are small in size, do not require a lot of storage space, and do not tail behind in terms of performance. On average, a portable ice maker produces ice in as little as 6-10 minutes, which means you can have ice virtually on demand. If you love chilly drinks, you might also be interested in reading our reviews on soda makers. The first thing to consider is how much ice the selected machine can produce per day. Generally, ice machines can make about 26-28 pounds of ice during 24 hours. A storage capacity determines the max amount of ice the unit can hold at any given time. So, if you often host parties, look for a machine that can offer you 2.5-3 lbs of storage space at least. Another important feature to take into account is the speed of an ice maker. The faster it produces ice, the better. The quickest models can generate a batch of ice in just 5-7 minutes, while the slowest machines may take approximately 13-15 minutes. Smaller ice makers tend to produce ice faster. 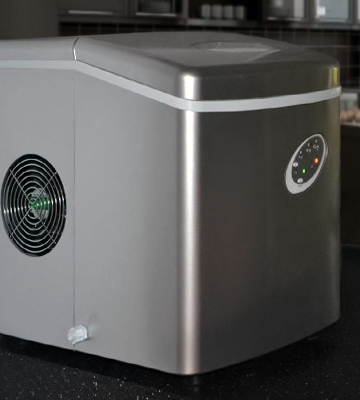 Also, smaller units usually maintain lower temperatures for a longer time compared to larger ones, meaning the ice inside mini machines stays cool for a longer time either. The dimensions of a unit really matter if you're going to take it with you on trips. 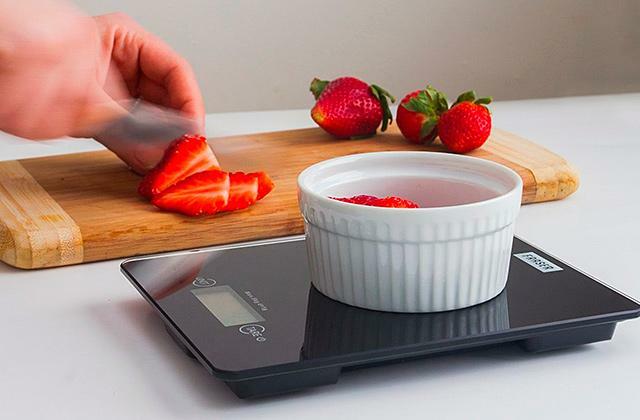 The small footprint means that you can easily put it on any counter, including tabletops in RVs. And if the device is also lightweight, you will be able to move it around with less effort. Sizes and designs vary significantly. Some ice makers can be as small as coffee makers, while others can come in bulky dimensions requiring plenty of countertop space. That said, if the weight and the size of the appliance aren't your concerns, remember what we've said earlier - smaller models are usually faster than their larger rivals and they can keep produced ice colder for a longer time. It's very convenient if a drain plug is placed at the bottom of the unit rather than on its side. A mash filter is used to protect the ice from dirt, residue, or hair. Despite the fact that many portable ice machines come fitted with special purification filters, it's better to filter tap water prior to adding it to an ice maker. As for aesthetic, ice making machines are produced in a vast range of styles and colors so it should be easy to find a model that will blend beautifully both with your kitchen interior and with your other kitchen appliances. A bright LED control panel with a touchscreen, handy controls, and sound signals will make the operation of the unit much more convenient. A timer is another useful feature that will allow you to program the machine depending on your needs. When was the first ice machines invented? Two centuries ago, ice was a luxury. In hot countries, people had to buy extremely expensive blocks of ice from delivery services. The imported hefty ice blocks were delivered from colder countries or from refrigeration plants. Only in the 19th century, the first ice machine was invented by John Gorrie. 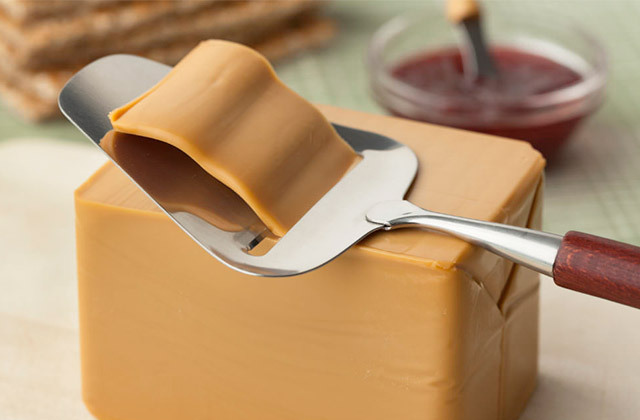 It was created in 1842 and patented in 1851 after some upgrading. The machine was able to chill water and produce some ice. However, it was never brought into commercial production. Alexander Twining, a scientist, has also received a patent for an ice machine and managed to implement it to the first commercial refrigeration system. It happened in 1856, in the US. At the same time, a Scotsman, James Harrison began to study vapor compression. He created his own ice making machine in 1851 and launched it in 1854. The commercial version of his device could produce up to 6,600 lbs of ice per day. It was James Harrison who also invented cooling systems allowing people to transport frozen meat across the world. Even small children know that ice is just frozen water. The water transforms from a liquid state into a hard solid state when it gets below 32 degrees Fahrenheit. The ice also has some special properties: it expands when water freezes and floats in water. 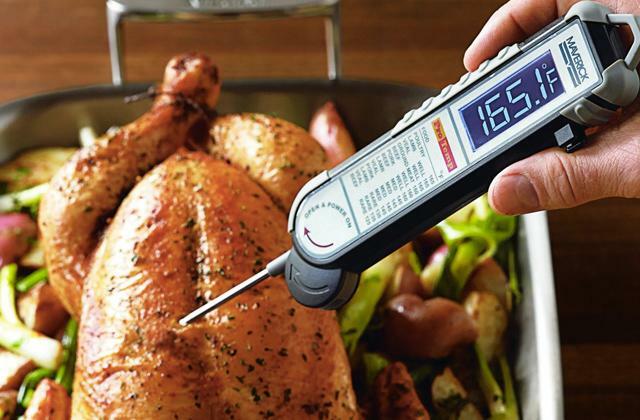 When the pressure increases, the melting point decreases. However, did you know that there are as many as sixteen types of ice? The ice that we have in our freezers is called "Ice 4" type. Actually, different types are distinguished by their density. Liquid water is denser than ice! Although ice and water have the same composition, they have different levels of density. The molecules inside water (liquid or solid state) arrange themselves in a completely different way. When in liquid water, they can fill in gaps and stay closer to each other than in the ice. So, the ice is less dense than liquid water and, consequently, it can float on water. Scientists and astronauts have recently found ice in outer space. The ice can serve as evidence that we are not the only population in the universe. The life requires water to live, and ice is just the frozen water! Dry ice is very effective at keeping different stuff frozen for a long time. Dry ice is produced from a carbon dioxide. It changes its state from gas to solid at the chilling 109.3 degrees F.
You can find ice not only in your ice making machine or freezer. Ice is also present in nature in various forms: snow, ice sheets, icebergs, glaciers, freezing rain, icicles, hail, sleet, ice crystals, rime, graupel, and even ice fog. Q: How to clean a portable ice maker? A: Mold and slime can easily grow inside your ice making machine if you leave it even slightly wet. 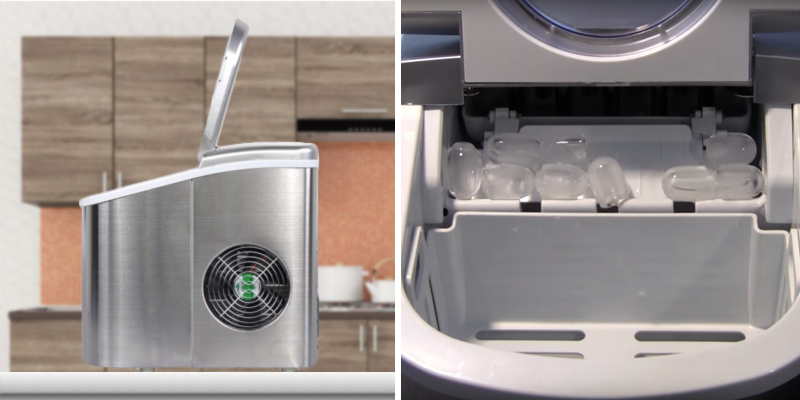 So, you should always clean your mini ice maker after each use. Cleaning an ice maker is a simple job. Every device usually comes with its specific cleaning instructions in the manual or you can download them on the official website. However, in general, cleaning recommendations are very similar for all models. At first, you need to unplug the appliance and remove an ice tray. Wipe interior parts with a towel, making sure you reach all corners and recesses. Repeat these actions with an ice tray. Then, make a cleaning solution (10:1 ratio of water to lemon juice or white vinegar) and run this solution through a few cycles. Toss out the ice with cleaning solution and let the machine dry. Q: Do portable ice makers require a dedicated water line and a dedicated drain line? A: No and no. This type of appliance needs neither dedicated water line nor dedicated drain line to work. These are the main differences that set a portable ice maker apart from stationary machines. When you need some ice, you should just plug it in an outlet and fill the container with water. The water from melted ice goes back down into the special basin where it's turned back into ice again. To make sure that your ice is fresh, we advise you to drain water at least once a day. Q: What type of water should I use? A: The quality of the ice depends on the type of the water you pour into an ice maker. Needless to say, the water must be potable. It's sensible to avoid hard water, as it might lead to mineral build-up and worsen the quality of ice. 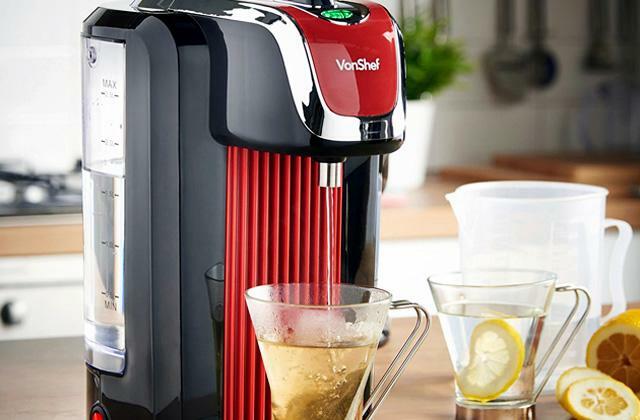 Distilled water includes fewer minerals, however, it can also cause some issues, since most portable ice machines use sensors that produce ice according to mineral content. It's better to use filtered and purified water to get fresh and tasty ice. It has an optimal mineral content and can't make sensors inside operate improperly. Q: Can I use a portable ice machine outdoors? A: Yes, it's a small and lightweight appliance that can be easily moved from one place to another. It can work wherever you have a power outlet. It's good not only for countertops and tabletops but for RV and boats as well. But keep in mind that a very hot temperature can influence the ice production time. Q: How long does it take a machine to make ice? A: It depends on a specific model. On average, a portable ice machine produces ice within 7-15 minutes. Some factors might slow down the production of ice - the type of added water, the age of an ice machine, and the frequency of use. Q: Can I use a portable ice maker as a freezer? A: No, it's not an alternative to a freezer. Although it has an insulated exterior, the ice will slowly melt in the tray. Q: How much electricity does an ice maker consume? A: The amount of used electricity varies from model to model. Usually, they aren't very energy efficient. You can hardly find an EnergyStar certified appliance. Yet, this doesn’t mean that they are very expensive to run either. They use much less electricity than stationary ice machines. 2. Autumn Spanne 15 Blissfully Cool Facts About Ice, Mental Floss. August 15, 2016. 4. Mike Floorwalker Top 10 Strange and Fascinating Facts About Ice, Toptenz.net. 5. Sarah 11 Common Questions About Portable Ice Makers, Compact Appliance. March 12, 2014. 6. Carol Gold Is it Healthy to Drink Cold Water, LIVESTRONG.COM. 7. 40 Cool Drinks for a Hot Day, Real Simple.